Paolo Michele Patocchi is a “leading arbitration figure” and is recommended for his “great experience in all domains of international dispute resolution” (Legal 500 2019). Paolo Michele Patocchi is “one of the best names in the market”. He is highlighted for “his huge experience in arbitration and mastery of the law, as well as his great sense of strategy“ (Who’s Who Legal: Switzerland – Arbitration 2019). Paolo Michele Patocchi is “noted for his ‘professionalism and unparalleled knowledge’ by peers. Sources are ‘impressed by his huge experience and mastery of the facts’ as well as his ‘great sense of strategy’” (Who’s Who Legal: Arbitration 2019). Ranked by Chambers and Partners 2016, 2017, 2018 and 2019 amongst “Most In Demand Arbitrators – Europe-wide”, “Arbitrators – Switzerland” and “Arbitration Counsel – Switzerland”. Paolo Michele Patocchi is ”a master of both facts and law” according to sources – one of whom praises his performance in arbitration proceedings, noting: ”He is able to drive and streamline the process in a very efficient way” (Who’s Who Legal: Switzerland – Arbitration 2018). Paolo Michele Patocchi is “an extremely good arbitrator” who comes recommended by sources for his “expertise and dedication to his clients” (Who’s Who Legal: Arbitration Thought Leaders 2017). Paolo Michele Patocchi is “very knowledgeable and experienced” (Legal 500 2017). “Effusive sources describe the ‘outstanding’ Paolo Michele Patocchi as ‘one of the best arbitrators in the country’” (Who’s Who Legal: Switzerland – Arbitration 2017). “Paolo Michele Patocchi is lauded as ‘one of the best arbitrators around’, and is recognised for his ‘prestigious practice’” (Who’s Who Legal: Switzerland – Arbitration 2016 and Who’s Who Legal: Arbitration 2017). Paolo Michele Patocchi is “very experienced and reliable” (Legal 500 Europe, Middle East & Africa 2016). Ranked by ExpertGuides in the Guide to the World’s Leading Experts in Commercial Arbitration and in the Best of the Best guide. 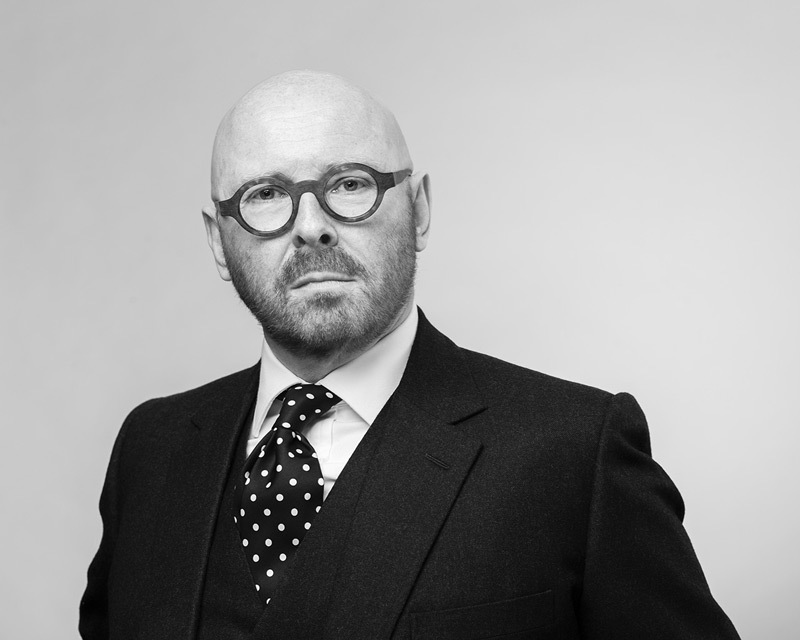 After practising for four years in Geneva (1984-1986), Paolo Michele Patocchi further specialised in the law of international trade and arbitration in London (1986-1988). He then joined an international law firm in London as an associate (1989-1992). In 1989 he was appointed lecturer at the Faculty of Law of Geneva (Department of Private International and Comparative Law, Head: Prof. Dr. Pierre A. Lalive) to take over the lecture on the Introduction to the Anglo-american Law Tradition (1989-2006). Having returned to Switzerland in 1992, Michele joined a national law firm in Zurich, and he has worked as counsel and arbitrator ever since. In 1994 he moved back to Geneva and joined another national law firm where he was made a partner in 1997. He has been in charge of the International Arbitration Group of the Geneva office of that firm from 1997 until 2013. In 2014 he established Patocchi & Marzolini with Paolo Marzolini. Whether as counsel or as an arbitrator, Michele has taken part in over 220 international arbitrations to date. He has also advised on the Swiss law of contract, the Swiss law of international arbitration and the Swiss private international law, as an expert or amicus curiae. As a practising lawyer or as an arbitrator, Michele has been called upon to work on matters involving a number of legal systems other than Swiss law, including in particular the laws of Albania, Algeria, Austria, Belgium, Egypt, England and Wales, the U.S.A, India, France, Germany, Hungary, Kuwait, Italy, the Netherlands, Peru, Poland, Portugal, Romania, Spain, Turkey, the UAE and Venezuela. Michele has been a lecturer at the Faculty of Law of Geneva (1989-2006) and he has been teaching international arbitration at the Faculty of Law of İ. D. Bilkent University (Ankara) since 2013. He has taught the first five-day module (Introduction to International Arbitration) at the Swiss Arbitration Academy in October 2008 and October 2009. Michele has also been active in international law. He has been on the ICSID list of arbitrators since 2012 (List of arbitrators designated by the Swiss Government) and has been involved in one ICSID case, one ICSID Additional Facility Rules case, one ICSID annulment case and one case under the OIC Treaty. He has been a member of the team in charge of representing the Swiss Confederation before the International Court of Justice in the legal proceedings brought by the Kingdom of Belgium with respect to an alleged breach of the Lugano Convention by Switzerland. These proceedings were withdrawn by the Kingdom of Belgium after Switzerland filed its first memorial setting out its preliminary objections. Michele has collaborated with the arbitral institutions of the Swiss Chambers of Commerce in the past two decades. After the arbitration rules of the Swiss Chambers were unified in 2004, he was the first President of the National Arbitration Committee and the Special Committee in charge of hearing challenges (2004-2006) and a member of the Arbitration Court of the Swiss Chambers’ Arbitration Institution from 2013 to 2016. From 2005 to 2011 he has been a non-resident member of the Arbitration Committee of the Milan Chamber of Commerce.